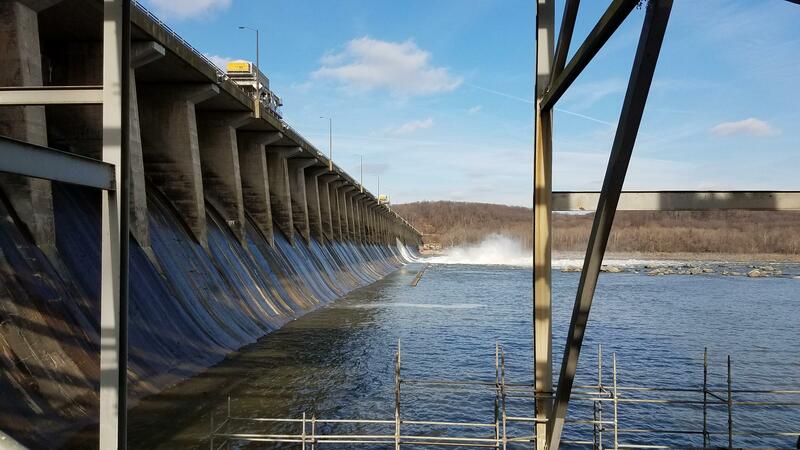 Exelon Generation, the company that owns Conowingo Dam near the mouth of the Susquehanna River, was forced to open its flood gates several times last summer after record breaking rainfalls and again in November after even more rains. And that continues to create problems downstream in Chesapeake Bay, where even in the middle of December crews are still pulling large tree trunks and limbs that were washed through the flood gates out of the water. Gov. Larry Hogan has demanded that Exelon do more to trap the debris behind the dam, but Deena O’Brien, a company spokeswoman, says Exelon has faced daunting challenges this year. “We’ve been open about ten times the normal amount in 2018 than we have in years past,” she said. “It’s just been some very strange weather patterns that we’ve been experiencing and seen in 2018. And despite the criticism the company has received, she says Exelon has removed nearly 4,000 tons of debris from behind the dam this year alone. That’s “more than three times the amount that we do in normal years,” she said. Unfortunately, O’Brien says, there’s no way they can stop all the debris from coming through the flood gates. And Exelon isn’t causing the problem. “One of the options that we favor is for Exelon to establish some sort of dedicated funding that could be used upstream in Pennsylvania, New York or even in Maryland to do things that would reduce the levels of nitrogen and phosphorous pollution that we receive,” she said. And while Exelon and the upstream states look for a way to share the responsibility, waterfront communities and boaters up and down the bay are sharing in the effects. The Department of Natural Resources reported spending $48,800 to clean up the debris that blanketed the beaches at Sandy Point State Park last August. Farther down the Bay, Jamey Gonsalves, president of the Bay Ridge Association, said his community spent $20,000 to clean up its beaches. He says they hauled “about 175 tons of debris” of the beach since last August and added $10,000 to next year’s budget just in case they need to do it all over again. The deluge of debris also has caused problems for marine businesses, a staple of the Chesapeake region’s economic. Glen Shaefer, the manager of Anchorage Marina in Baltimore says it has sharply reduced the number of boaters looking to rent slips from him. “We are a destination marina up here in Baltimore,” he said. “People come up the Chesapeake Bay, they come up the Patapsco River, and they come to Anchorage Marina, and other marinas, and they expect to visit the city. But this year, due to the effects of the debris field floating in the river, and in the bay, and warnings from the Coast Guard about the debris field, in our opinion it has affected our traffic as much as 50 percent." He says boaters are frustrated because they “thought they finally had some time they could do some boating on the Bay” after a very wet spring. For boaters who do leave the dock in the winter—and there are some hardy souls who will do that--Sgt. Ken Layman, of the Maryland Natural Resources Police has some advice. But the two were a bit more conciliatory at Tuesday’s Chesapeake Executive Council meeting. Things are looking up for the Chesapeake Bay, according to scientists at the University of Maryland Center for Environmental Science. The scientists released a report card on the bay’s health Friday morning that found the "positive trajectory" they’ve noted in recent years is now "statistically significant."